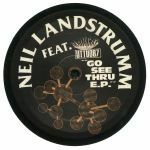 Review: Neil Landstrumm began his solo production in 1993, influenced by the Sheffield school of bleep as well as electro and Miami bass. His unique sound soon caught the ears of a wide variety of the world's finest electronic labels - going on to record for Tresor and Planet Mu among others and he remains one of the scene's innovators. Featured here are timeless classics such as "Takks" or "Sniff & Destroy" which nailed that similar kind of minimal funk that label mate Daniel Bell was creating at the time, through to the bang and clatter of frantic jams like "Swing/Jerk" and "Blam The Target" (Inhabit The Machines) which are still a true zeitgeist of early '90s UK techno. 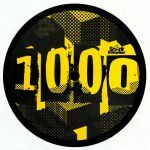 Review: Techno legend Neil Landstrumm requires no introduction on here, seeing as how he has been present - and largely leading - our charts since we opened shop in the late 90s. He is techno, and techno is him, much like the Detroit or Chicago greats that we all know and love so much. 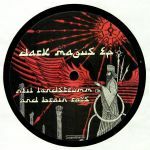 We're glad to see him on Unknown To The Unknown, DJ Haus' imprint, up in the wax with his predictably oddball strain of techno, first launching an off-kilter attack with "DX Madness", before heading into deeper, darker and more subtle territories via "Rectorate Power". On the flip, "Sleep" and "Grape" both feature Brain Rays, with both tracks possessing a much more sparse, 12-bit sound that verges onto vintage electronica. Landstrumm gear.